Power Box, Battery Eliminator, . Replaces Voltage Regulator, Rectifier And Battery/ Capacitor in one compact Unit (Perfect For Custom Aplications). 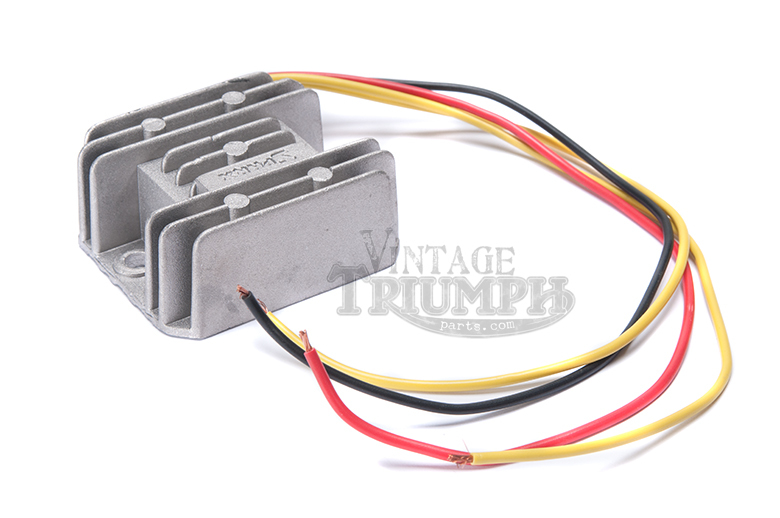 Direct Upgrade For Factory 12v Capacitor Ignitions As Found on Triumph Competition Models 1968 And Later. T100 Tiger 1962-1973, T100R Daytona 1967-1973, TR6 Trophy 1963-1972, T120 Bonneville 1963-1972, TR7 Trophy 1973-1983, T140 Bonneville 1973-1983.